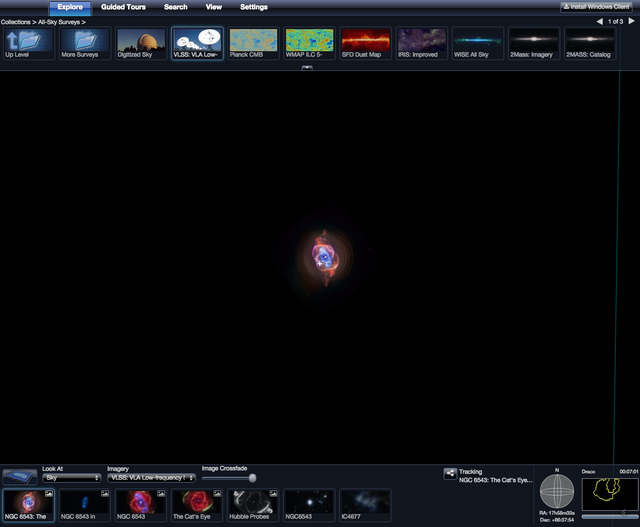 The WorldWide Telescope is a rich visualization environment that functions as a virtual telescope, bringing together imagery from the best ground- and space-based telescopes to enable seamless, guided explorations of the universe. 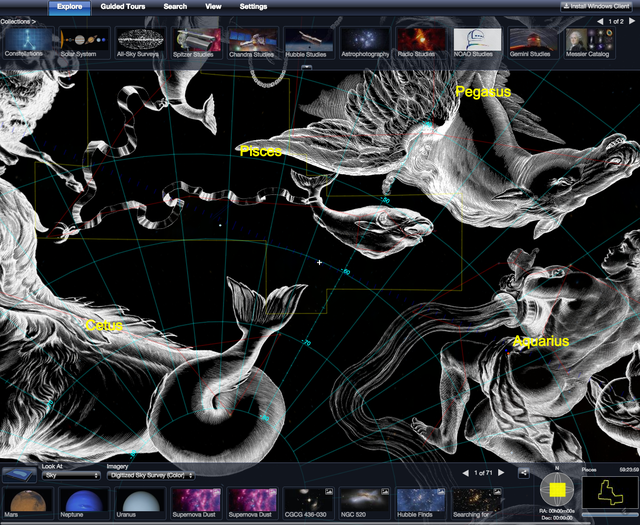 WorldWide Telescope, created with Microsoft’s high-performance Visual Experience Engine, enables seamless panning and zooming across the night sky blending terabytes of images, data and stories from multiple sources over the Internet into a media-rich, immersive experience. 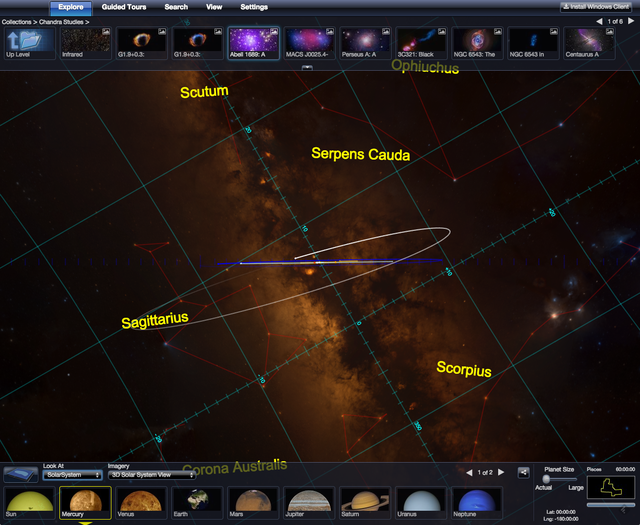 The WorldWide Telescope experience scales from a web browser all the way to multi-channel full dome in some of the world's most advanced planetariums. This lab is a research project by Microsoft. It is freely available and developed for education purposes.